Diversity Training tools for Health Professionals. STAY TUNED! Does my patient understand the illness? Can I confidently distinguish cultural/personal or clinical motives behind a patient’s behaviour? Am I aware of cultural taboos that can affect his/her reception of the treatment proposed? Does my institution allow me to adapt to the patient’s cultural / religious prescriptions? How can I deal with linguistic barriers? Which information do I have to give the patient for him/her to feel safe? At the same time, health professionals are highly pressed for time and have little opportunity to develop their intercultural skills. 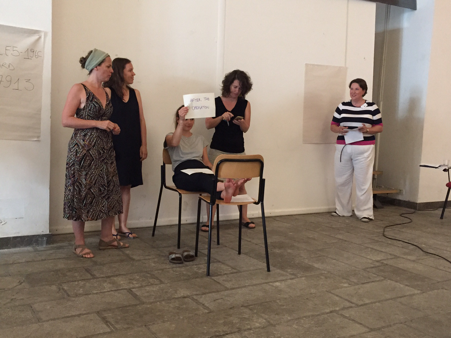 The Healthy Diversity project has recently finalised a modular training programme for health professionals, that was tested with 21 participants during a Training Week in Palermo (June 2017). The training is easily adapted to the specific training needs and time constraints of health care professionals, and is based upon anthropological, psychological, and sociological knowledge about diversity and intercultural communication applied to the health and social care sector. It is intersectional but has its main roots in medical anthropology. Participants are introduced to diversity in the health sector, they learn about diversity in encountering patients and focus on critical incidents experienced in professional practice. Further, intercultural communication and negotiation skills are addressed, as well as working in intercultural teams and diversity management. 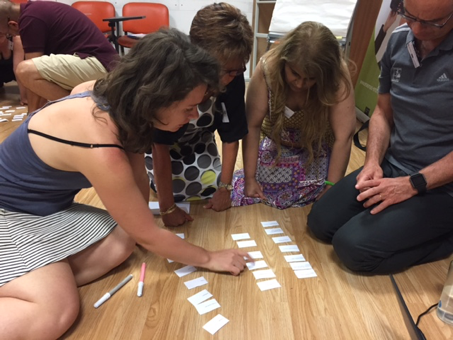 Besides the material for face-to-face training activities, the Healthy Diversity partnership is also working on an online course aimed at guiding health professionals through the project’s pedagogical resources in an interactive, flexible and personalized way. The online course will be launched on occasion of the final conference in July.